The BMO Rewards program is fairly simple. You earn points by using your credit card on daily purchases. You can redeem your points for flights, hotel accommodations, cruises, vacation packages, gift cards, and other merchandise. This program allows you to convert and redeem your points at a rate of 140 points = $1. This makes the value of one BMO Reward Point $0.007. If you don’t have enough points to cover the full cost of the item you wish to purchase, you can charge the remaining amount to your credit card. 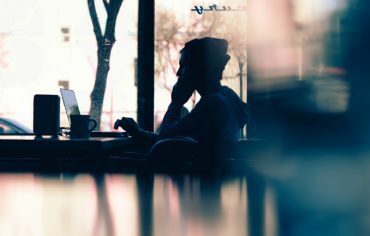 There are a couple features that make the BMO Rewards programs one of the most popular programs in the country. You’ll earn 3 BMO Rewards points for every $1 spent on travel, dining and entertainment purchases and 2 points for every $1 spent everywhere else. There are no tiers or caps that limit the amount of points you can earn or when you can redeem them. Another perk is that you can redeem your points anytime with no blackout periods or expiry dates. Your points can be used to cover all expenses including taxes and fees. 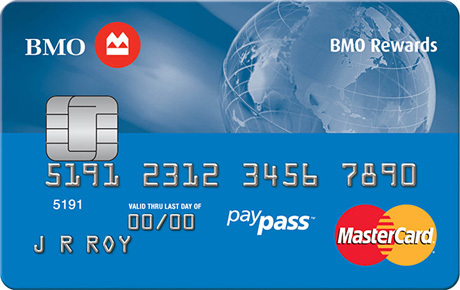 There are two BMO Rewards cards: BMO World Elite MasterCard and the BMO Rewards MasterCard. 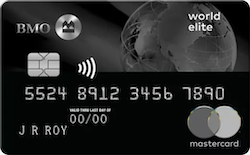 If you’re looking for a card to maximize your rewards, the BMO World Elite MasterCard is likely the best option for you. You’ll earn two points for every dollar you spend when using your card, which is an excellent value. When you sign up, you’ll receive a welcome bonus of 35,000 (equal to a $250 travel credit). Selecting the right BMO Rewards card is important because a higher earn rate will result in more points. Since the BMO Rewards program allows you to convert points to dollars, having more points will let you can make larger purchases. Although you must book your travel through BMO Rewards (either online or over the phone), there’s a price match guarantee. If you’re able to show a lower advertised Canadian price for travel, BMO Rewards will match it. By using this feature, you’ll be able to minimize the number of points you spend on a purchase. We recommend you take the time to find the lowest price to get a better value for your points. In order to maximize the value of your card, you’re going to want to maximize the points you earn. First, add another cardholder to your account. This will help you earn points much faster. And second, you can maximize the points you earn with every purchase since BMO Rewards credit cards earn rewards at a constant rate. Whether you’re going out for dinner or buying a new couch, charge it to your credit card. This will ensure you’re racking up the rewards on all your purchases. Having said that, you need to be careful. 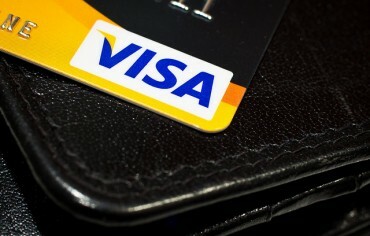 Rewards cards have high interest rates and you must be responsible with your card. Ensure you’re able to pay off your balance for the purchases you make.